This session was such a treat for me. The weather was warm and light, the grounds at Minter Gardens were in full bloom, and my clients were... in a word... beautiful. Look at these two! After several back and forth emails with Jaclyn's mom, Maureen, (who is basically Jaclyn's wedding planner extraordinaire!) 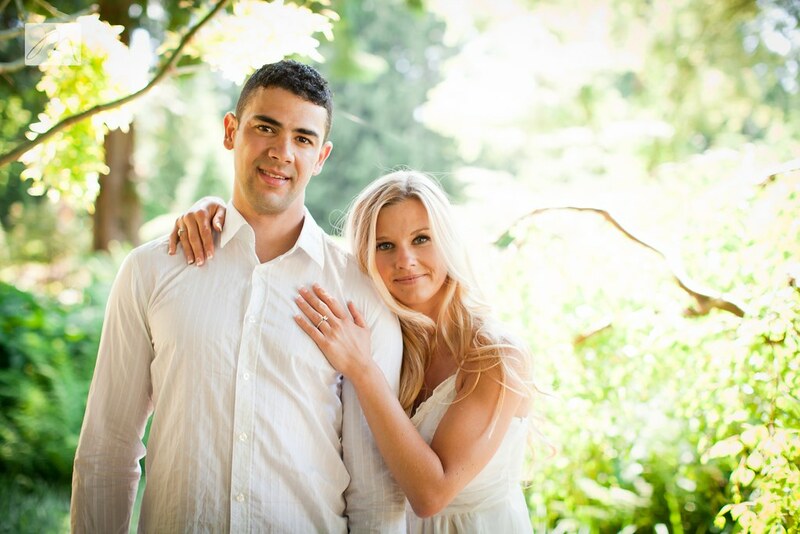 it was great to finally meet the couple who's wedding we will be documenting in Crescent Beach this August. Jaclyn loved the look of the unique water wall here at Minter and chose this venue for their session. I love meeting a couple for the first time and learning a bit about their love story... how they met, when did they know, and how did he (or she...though that hasn't happened yet) propose. I loved the beautiful way that Utman asked Jaclyn to be his wife at the skating rink in Robson Square... not to mention the gorgeous ring he chose!